Photos appear here each day from the Diaries of Finding Resilience 2017. 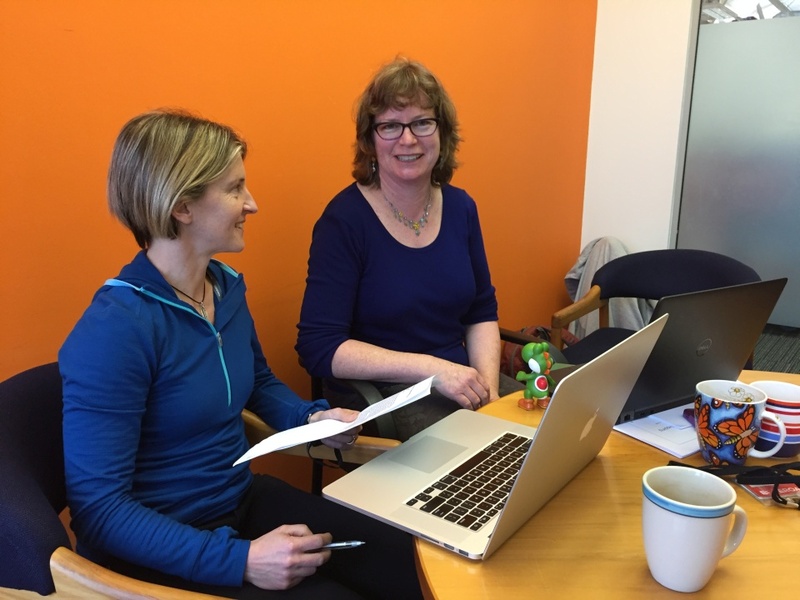 Shelley and Sharyn talk to Longford Intermediate School during today's web conference. 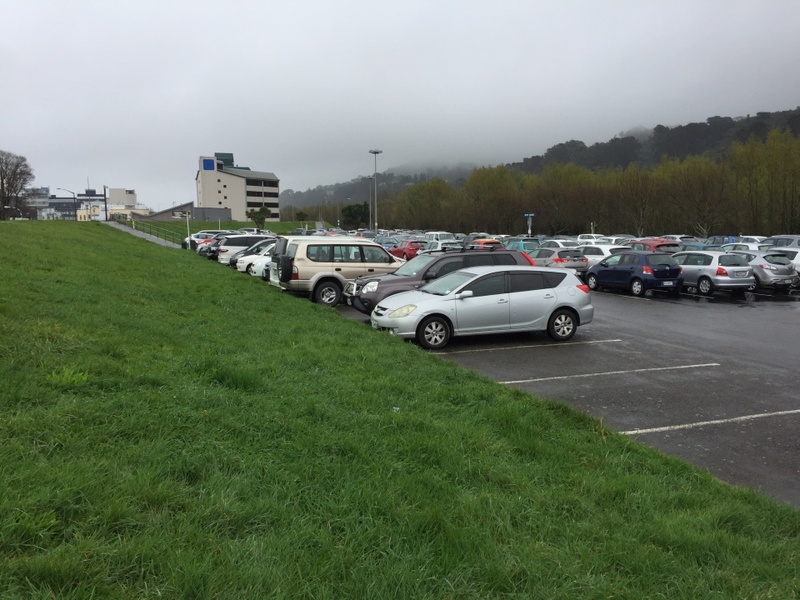 Image: LEARNZ. 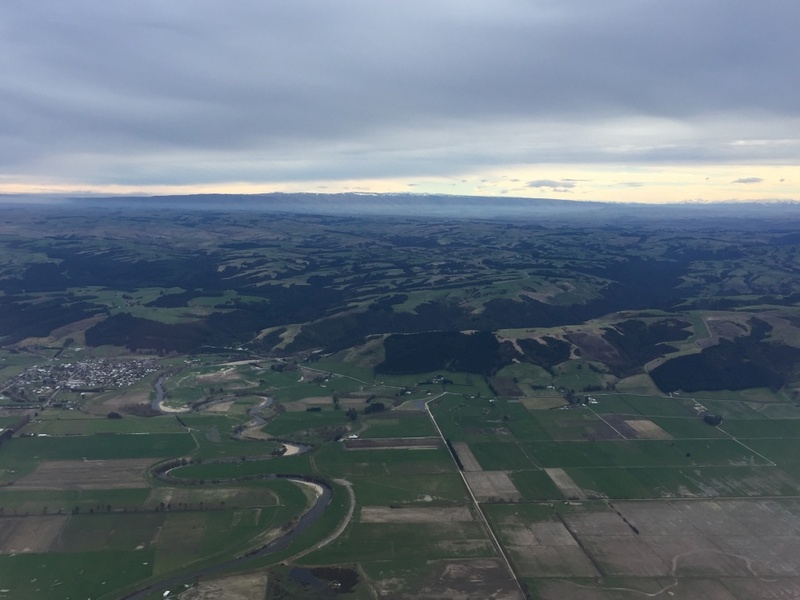 Rain overnight left the Hutt River looking browner than usual. What causes this change in colour? Image: LEARNZ. 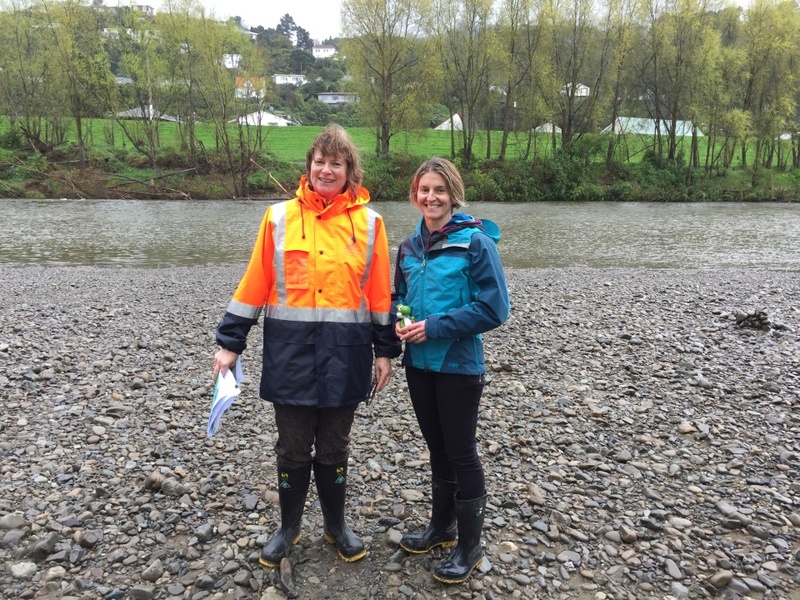 Sharyn and Shelley take a closer look at the Hutt River and the areas that it floods. Image: LEARNZ. 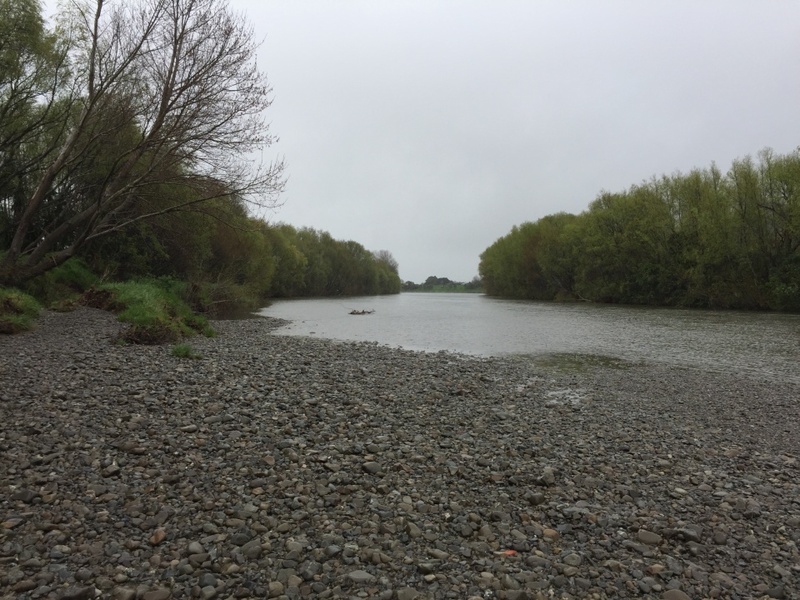 This stop bank has been built to stop the spread of flood water from the Hutt River. Where are stop banks needed? Image: LEARNZ. 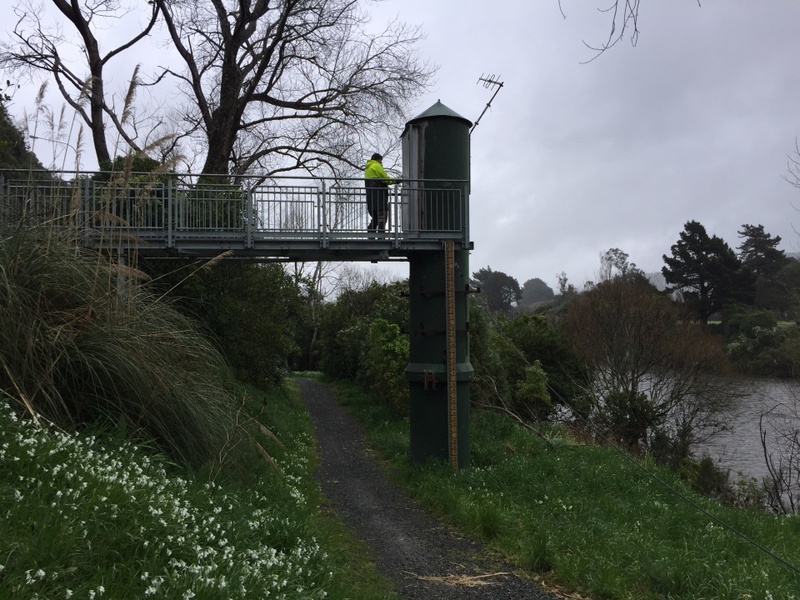 This is a Stilling Well used to measure river levels. How do you think it works? Image: LEARNZ. 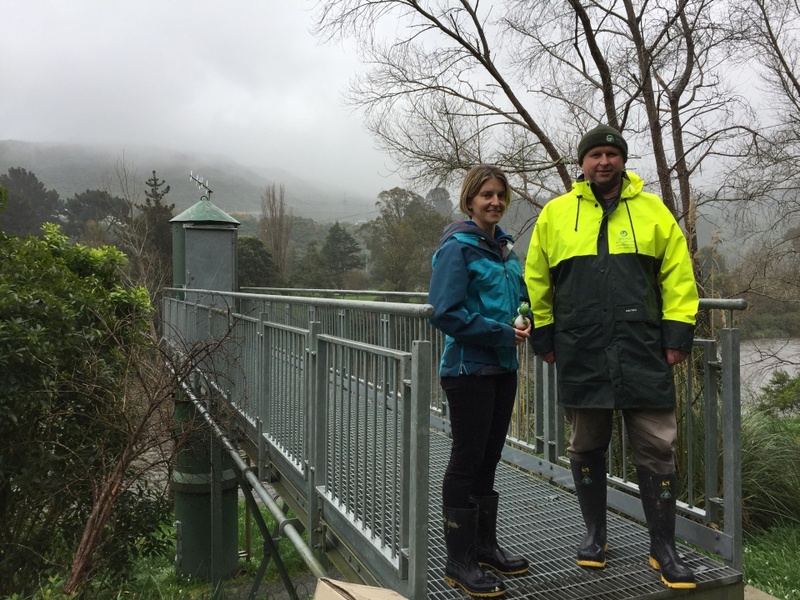 Mike the hydrologist talks to Shelley about how river levels are measured. Image: LEARNZ. 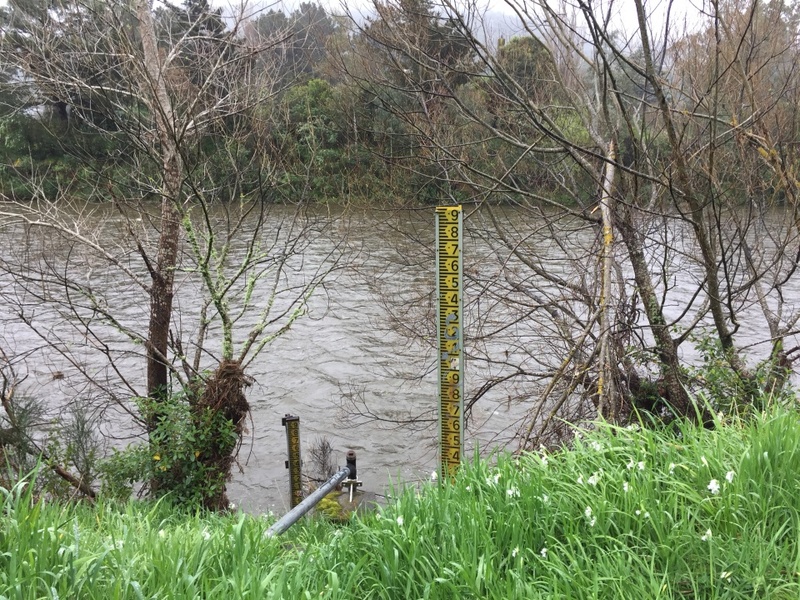 River levels can also be read by looking at heights on a pole like this. Why do you think the levels measured in a Stilling Well are more accurate than these? Image: LEARNZ. 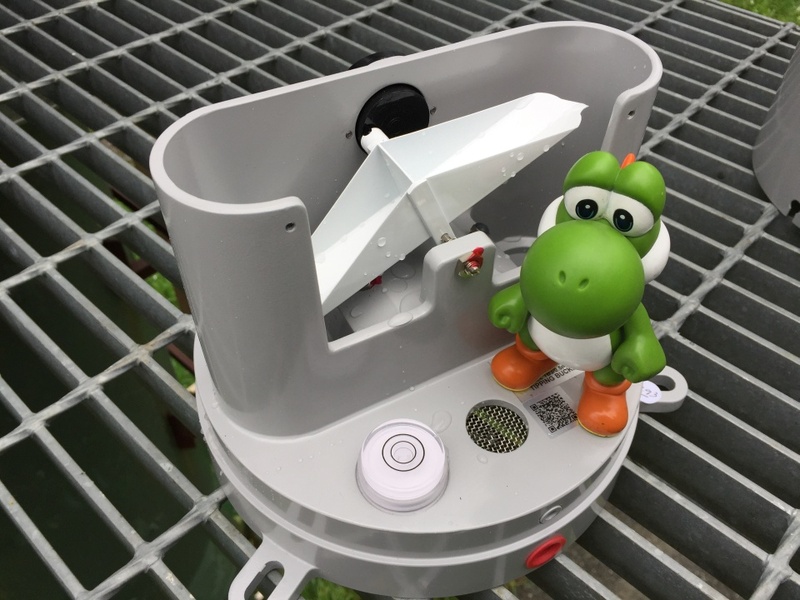 Alvin takes a look inside a rain gauge. 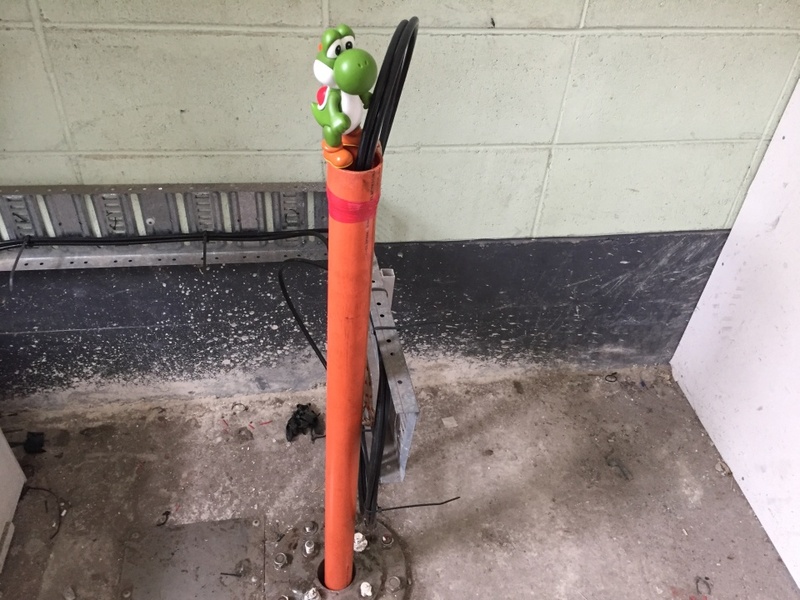 How do you think this rain gauge works? Image: LEARNZ. 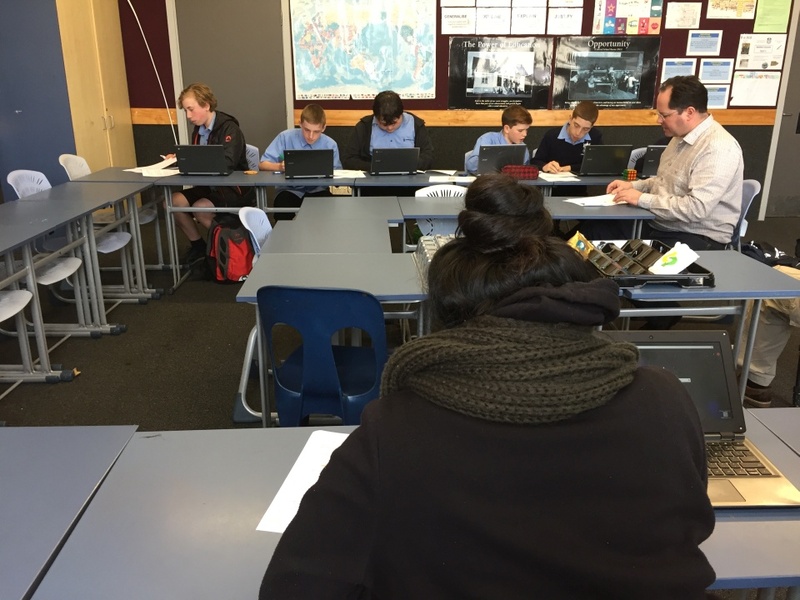 Students from Naenae College create their own flood hazard maps. Image: LEARNZ. 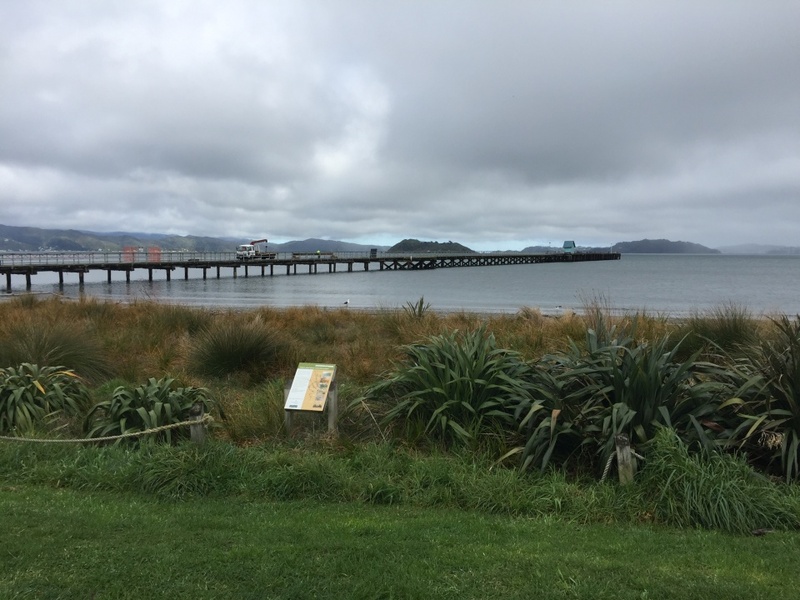 Petone is one of many areas in Wellington that could be affected by a tsunami. Image: LEARNZ. 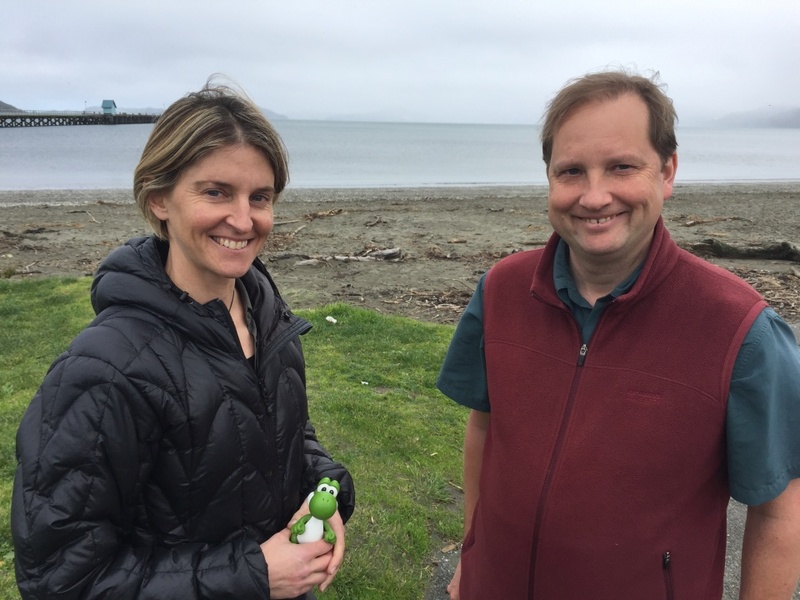 Shelley talks to William, a tsunami scientist about tsunami risk in Wellington. Image: LEARNZ. 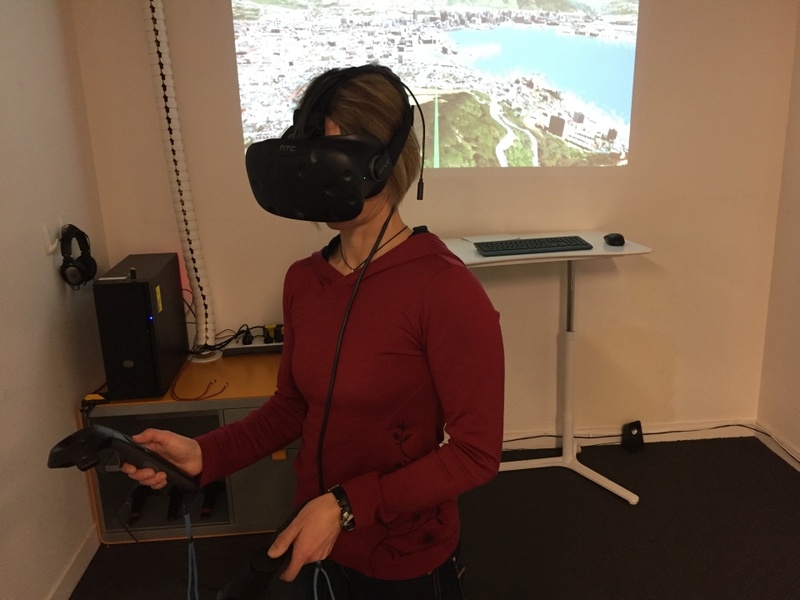 Shelley takes a virtual reality tour of Wellington. Image: LEARNZ. 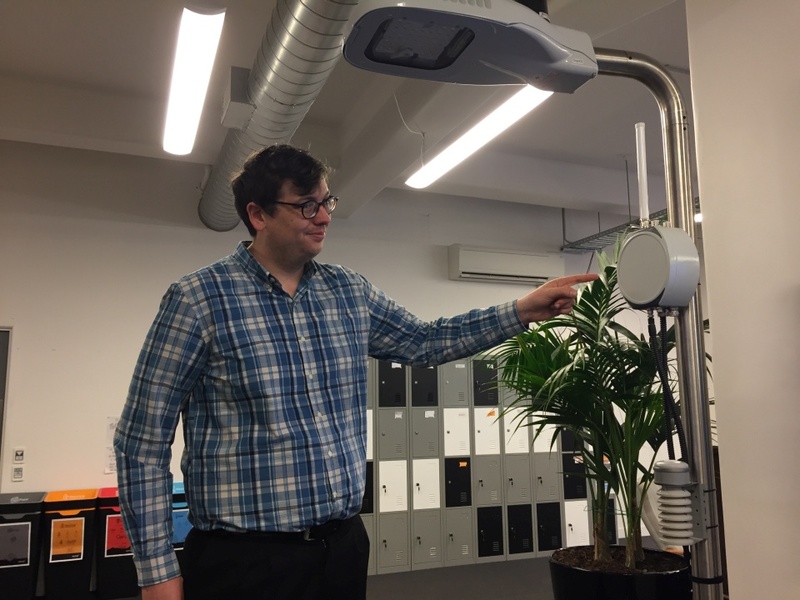 Sean Audain from Wellington City Council shows the sensors that are used to monitor things like noise levels, congestion and air pollution in Wellington. Why is it useful to collect this information? Image: LEARNZ. 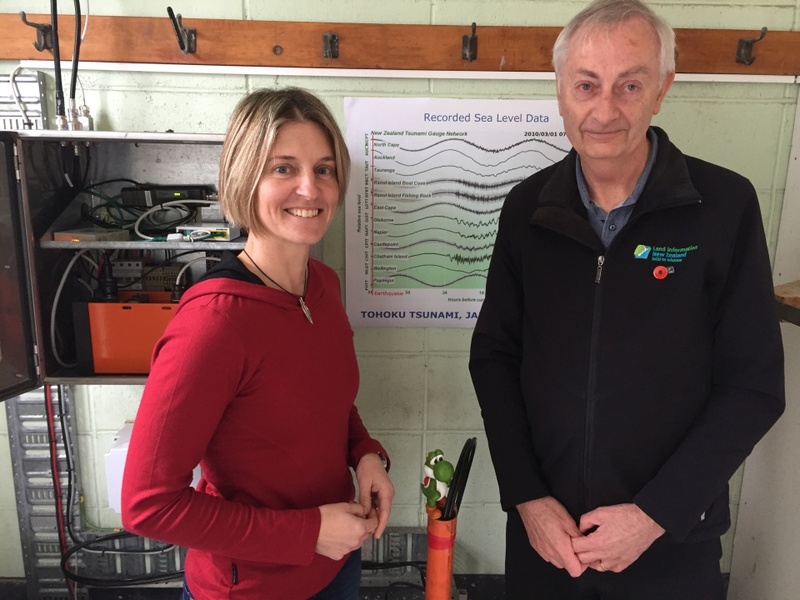 Glen shows Shelley a tide gauge used to help monitor tsunami. Image: LEARNZ. 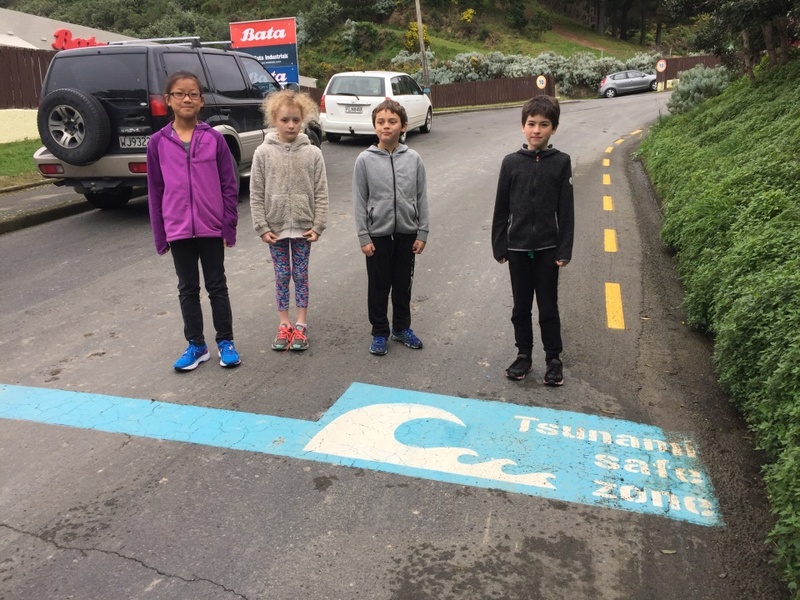 Students from Owhiro Bay School show where the tsunami safe zones are near their school. 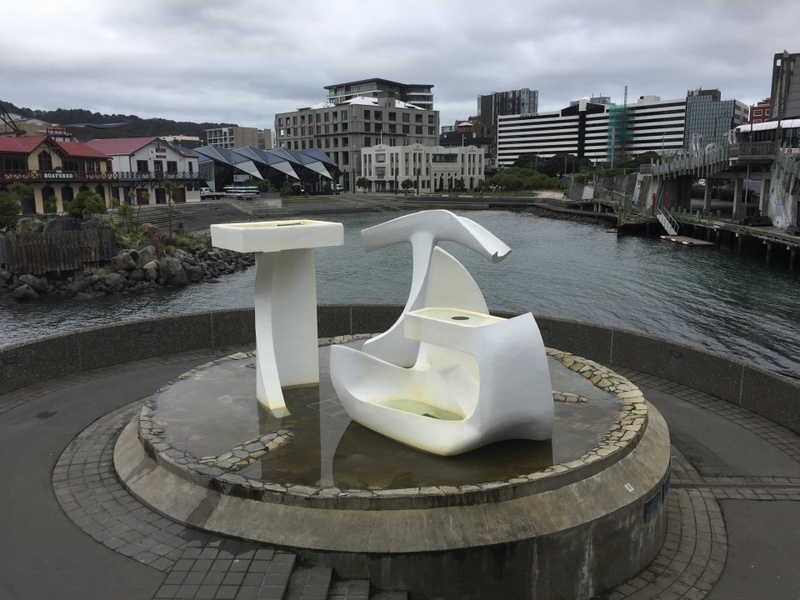 Image: LEARNZ. 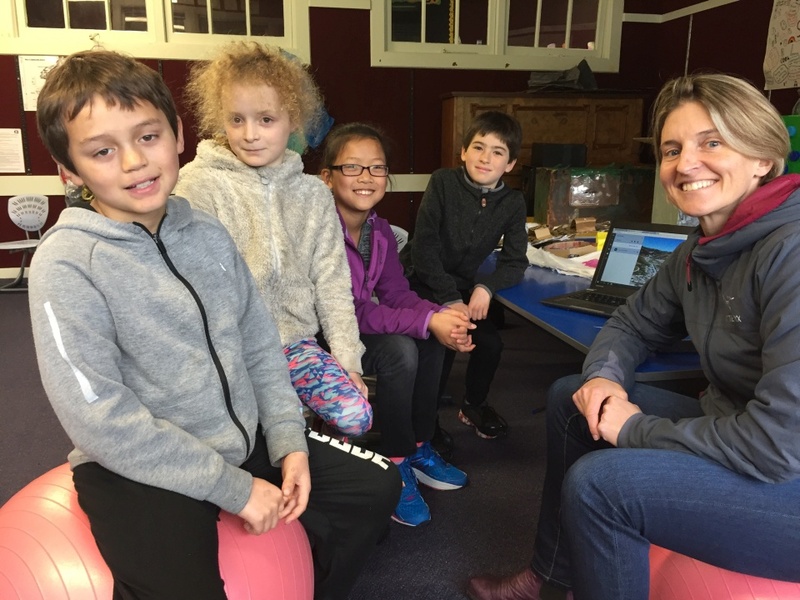 Owhiro Bay School students and Shelley talk about what to do if there is a tsunami. Image: LEARNZ. 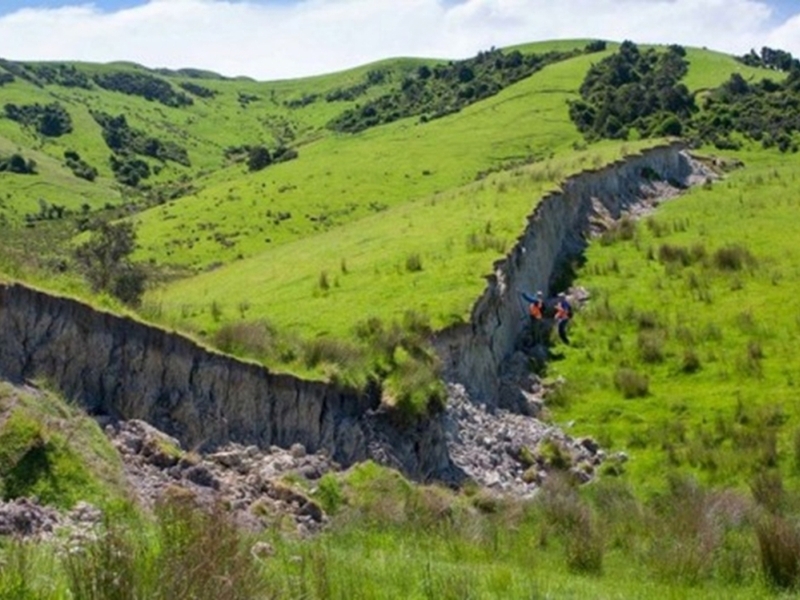 Rob points out where land drops along the Wellington Fault. Image: LEARNZ. 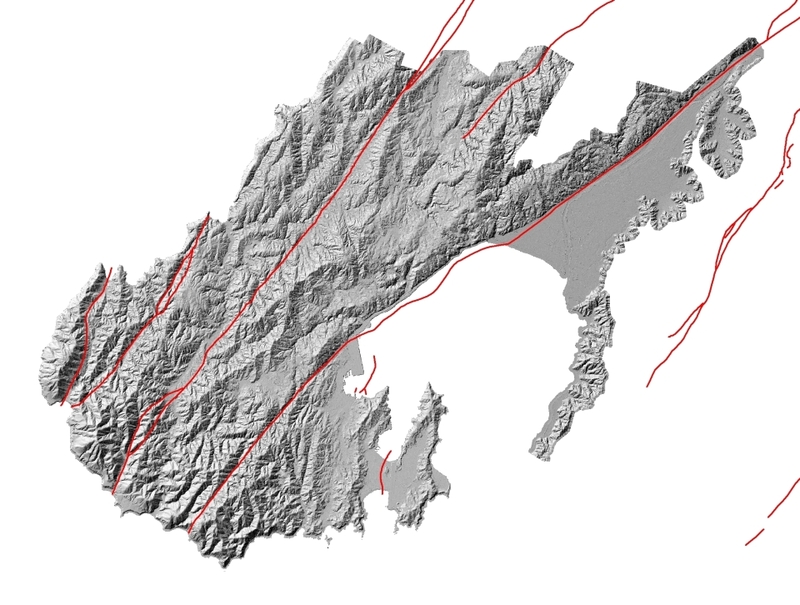 This grey image was created using LiDAR and active faults are shown in red. Image: GNS Science. 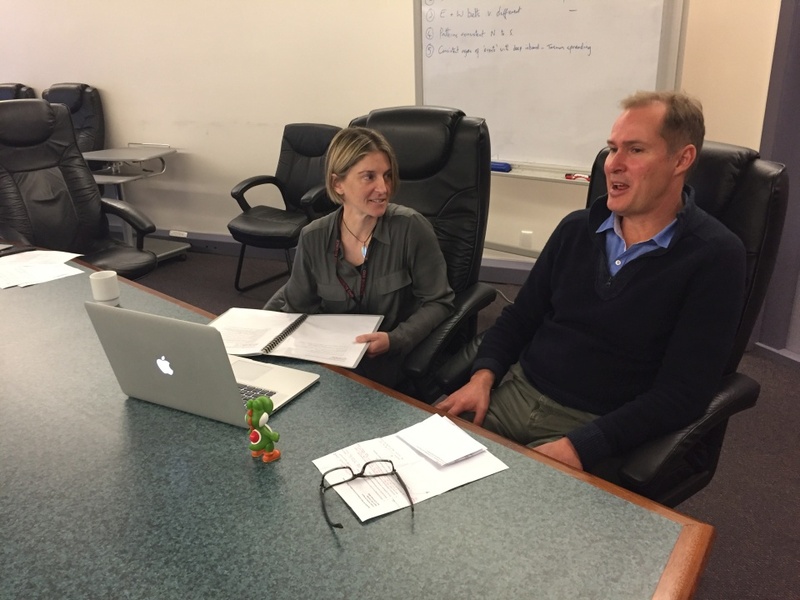 Shelley and Rob talk to students from Kaikoura Primary School during the web conference. Image: LEARNZ. 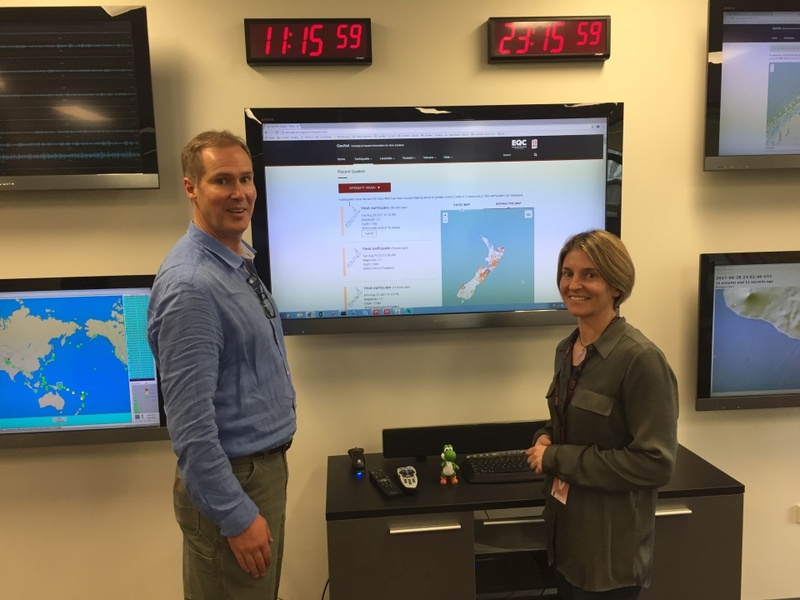 Rob shows Shelley how GeoNet monitors earthquakes, volcanoes, tsunami and landslides. Image: LEARNZ. 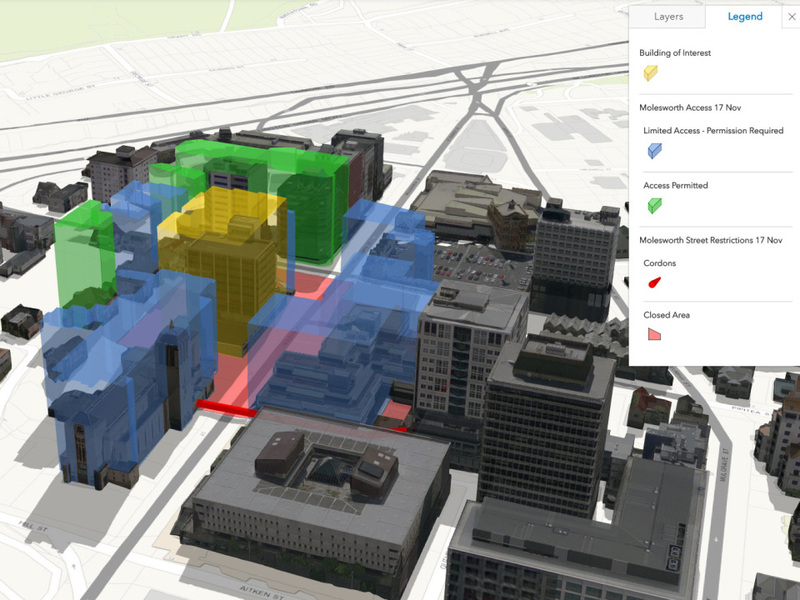 3D maps help share information with the public and show which areas need to be evacuated. Image: WCC. 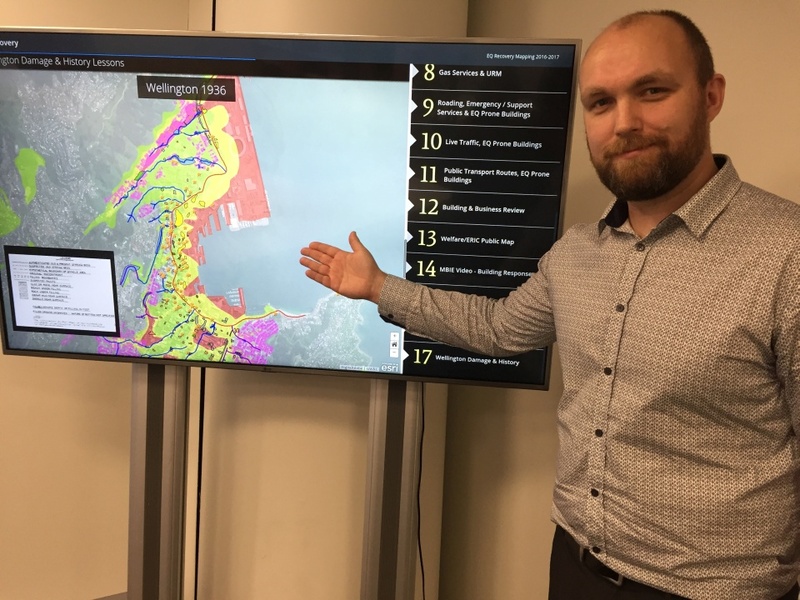 Alex shows you how GIS (Geographic Information Systems) are used to respond to earthquakes. Image: LEARNZ. 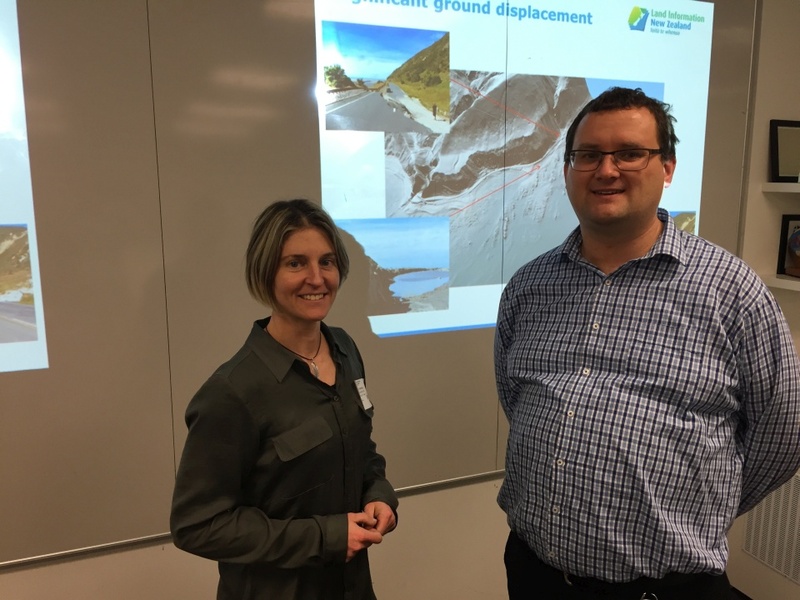 Nic Donnelly from LINZ talks to Shelley about how he measures land movement after earthquakes. Image: LEARNZ. 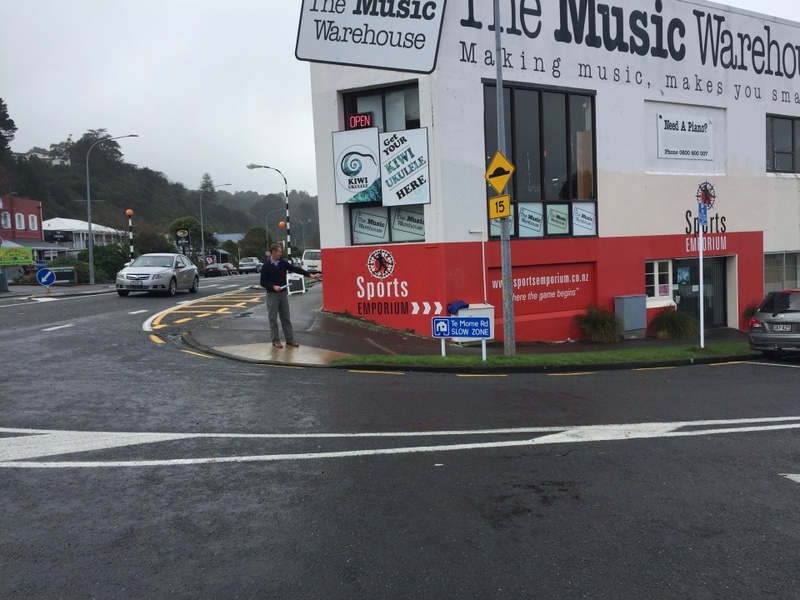 You began your journey in Dunedin today. Image: LEARNZ. 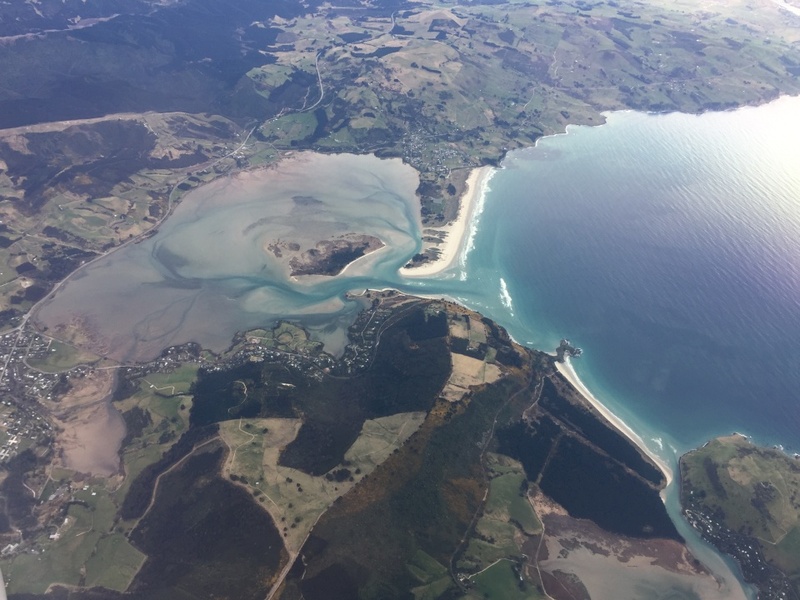 Before reaching a cruising altitude you were able to enjoy great views over the east coast. Image: LEARNZ. 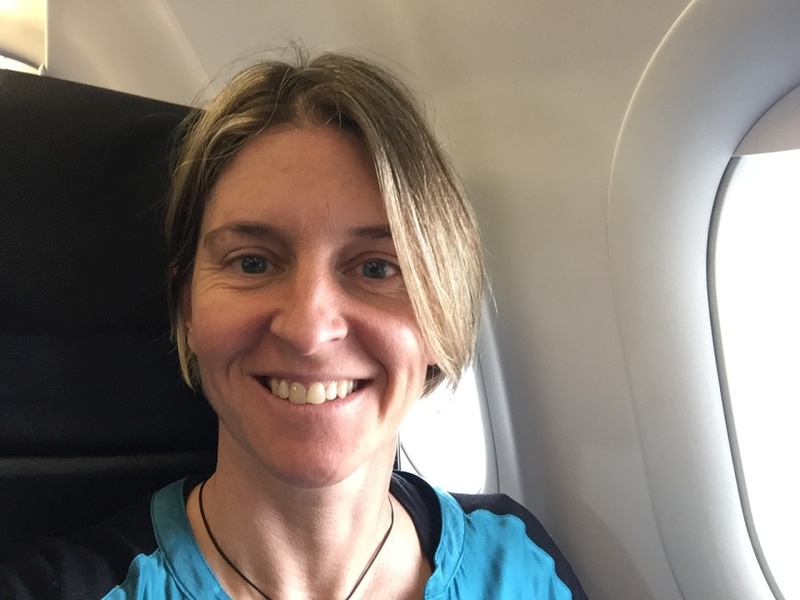 Shelley settles in for the short flight north to Wellington. Image: LEARNZ. 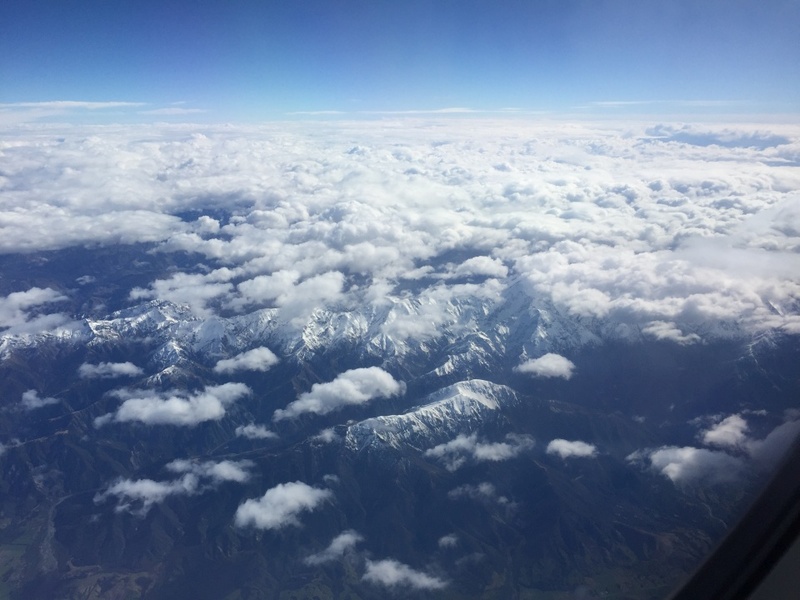 A few snowy peaks could be seen as the cloud cleared. Image: LEARNZ. 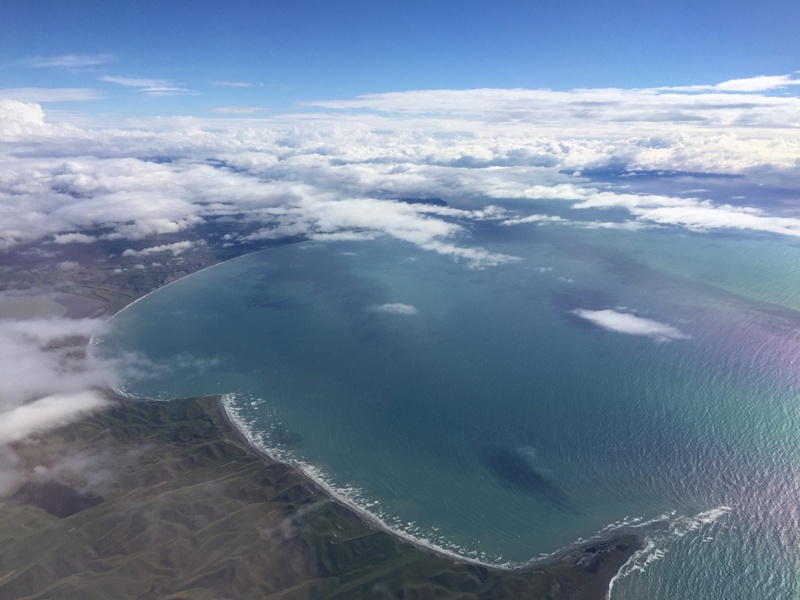 You said farewell to the South Island and headed out over Cook Strait. Image: LEARNZ. 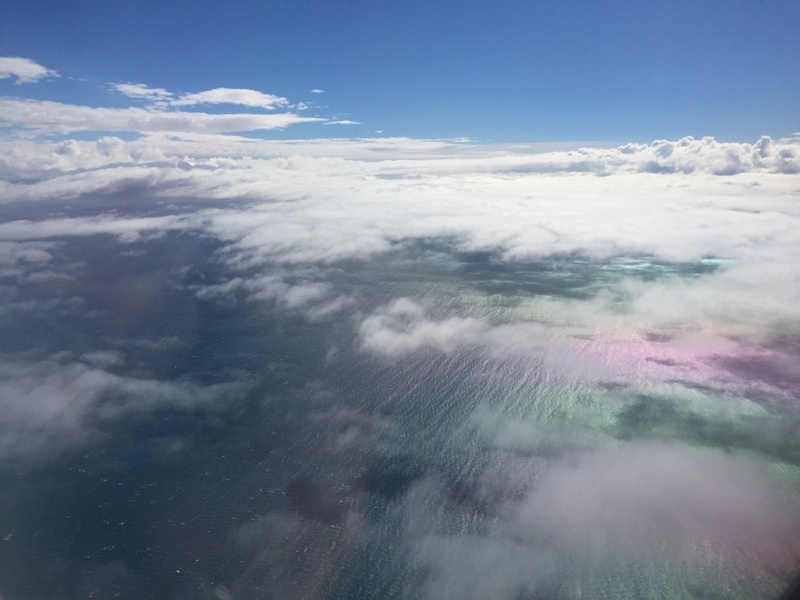 The ocean took on the colours of the rainbow as the sun shone on the water. Image: LEARNZ. 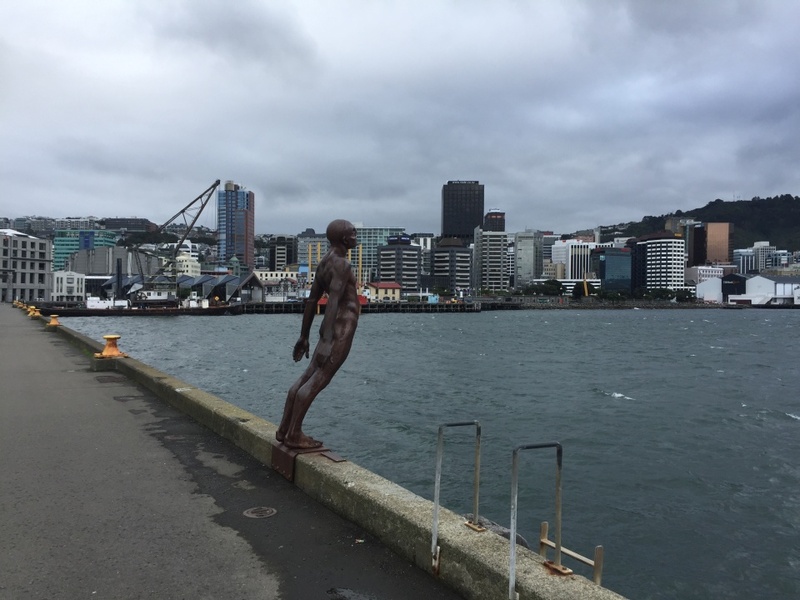 You had time to explore Wellington and wander around the waterfront. Image: LEARNZ. 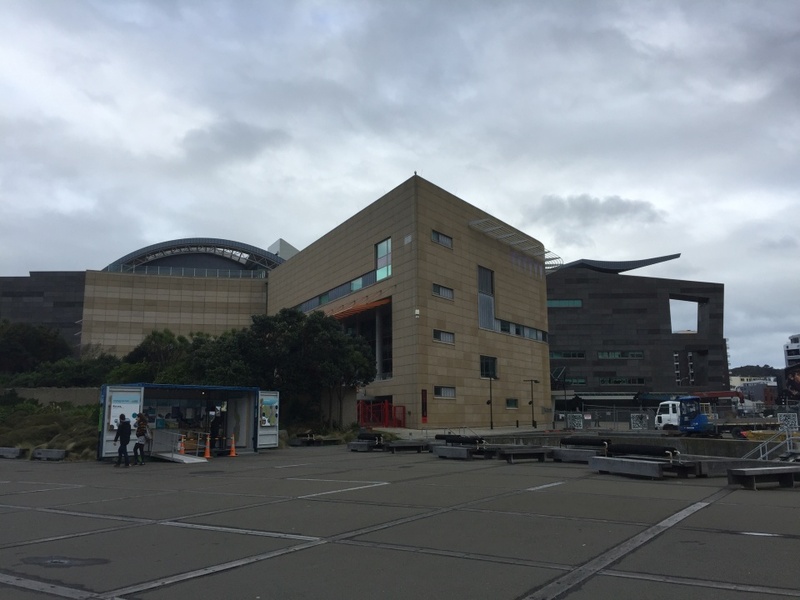 Te Papa Museum has been designed to withstand earthquakes. 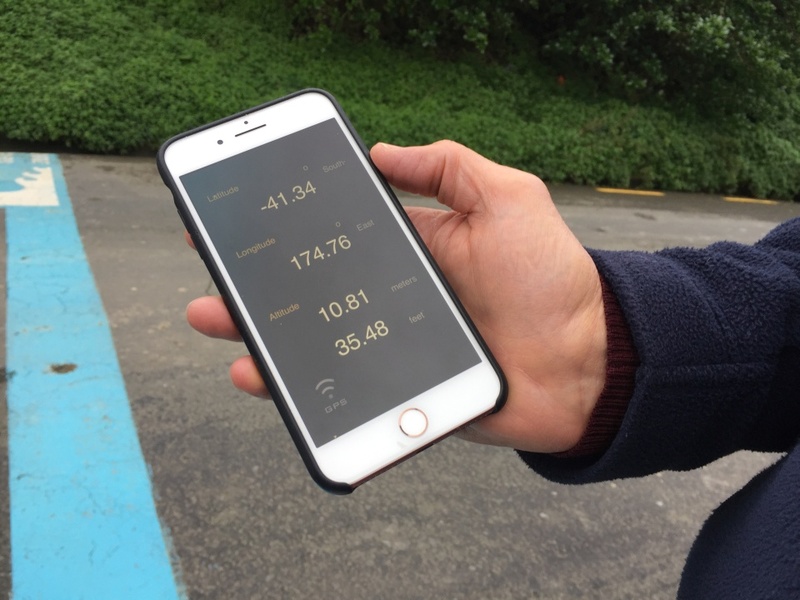 What makes this building more resilient to earthquakes? Image: LEARNZ. 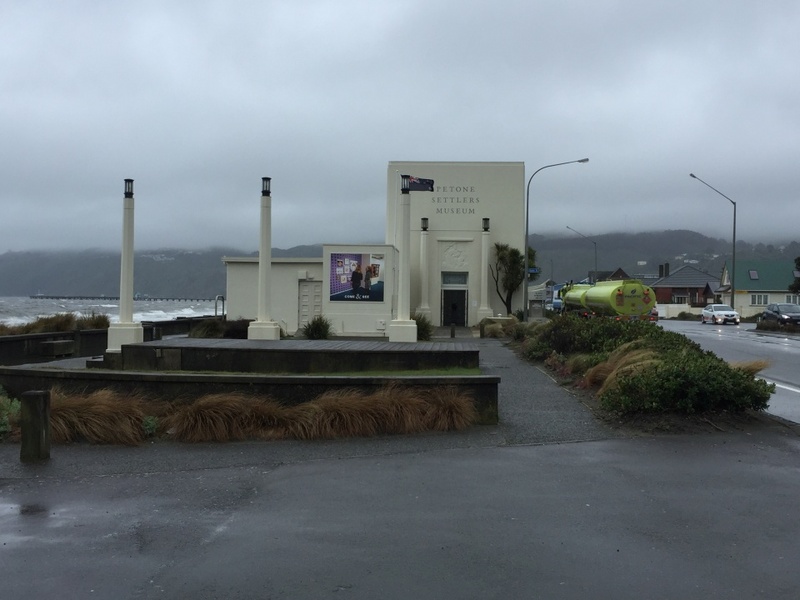 You are never far from the sea in Wellington. What are the advantages and disadvantages of living in a coastal city? Image: LEARNZ. 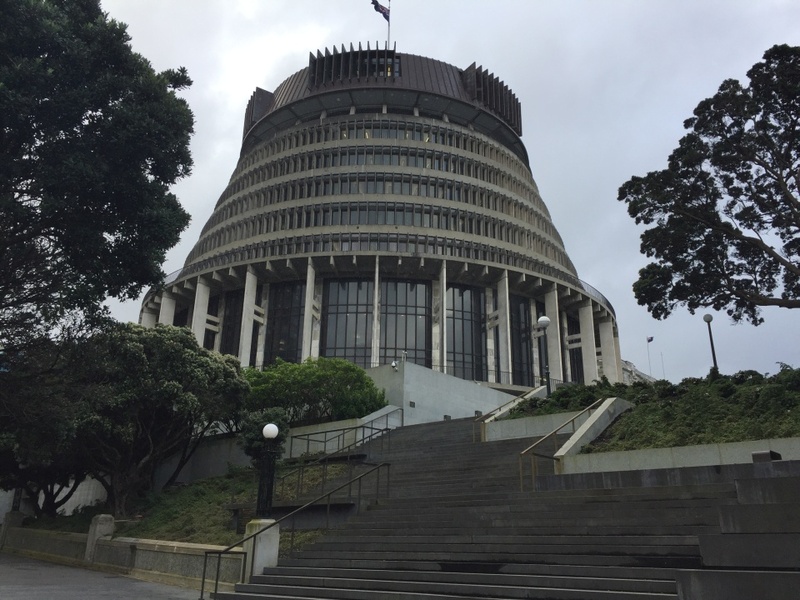 The bee-hive is an important building. What work do you think will be done in this building during a natural disaster? Image: LEARNZ.